BACKTOFRANKBLACK.COM: Lara Means Week: Sunday - Kristen Cloke Interview! 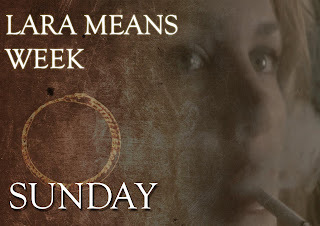 Lara Means Week: Sunday - Kristen Cloke Interview! So this is it! Sunday! The final day of Lara Means Week! A thank you to Alison Nastasi, MR Sellars, Joselyn Roja, DiRT, Steve Katzenmoyer, James Wong, myself (of course), Troy Foreman and of course, Kristen Cloke. Thanks to all the people who have supported this week - including those of you in Twitter and Facebook land. We'll be announcing the winners of this week's competition for the signed season 2 box-set and the signed photo tomorrow. We'll leave you with the feature of the week, the exclusive interview with Lara Means herself, Kristen Cloke. 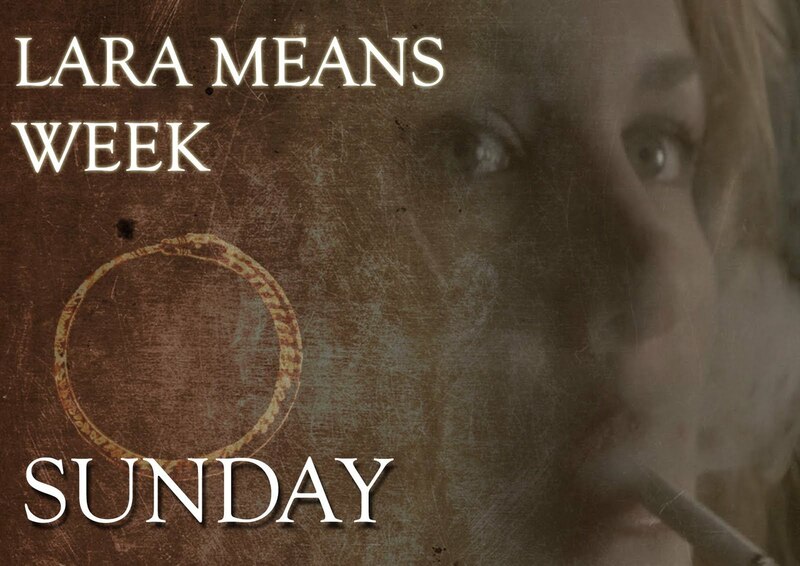 8 Responses to "Lara Means Week: Sunday - Kristen Cloke Interview!" Considering Kristen's known hesitance about an audio interview, I'm glad she decided to take a chance. Myself having done an audio interview by phone before, i know how awkward it can be. most people assume that because you're an actor, you must be good or comfortable with public speaking. and that's not always true. So despite any discomfort or uncertainty she may have had, thank you Kristen for gracing us with your presence, and your support. It was great to hear you share your experiences, and participate in Lara Means Week. I want to thank everyone who was involved with Lara Means Week. I think it was a great idea for getting more exposure to help get Millennium to the silver screen. I can’t wait to see which Millennium character you feature next. It was very interesting to hear Kristen Cloke talk about her career as an actor, her insights into the craft of acting and of course playing the character of Lara Means. Another fine interview to round off an interesting week's activities and articles. Kristen was very open and entertaining and I particularly enjoyed her tales on how she got into acting, as well as the insight into where she saw her character fit in amongst the "chorus" that supported Frank. Thanks so much, Kristen, for taking the time out for the interview, and thanks to Troy, James and the chorus of collaborators once again for another excellent week and everything that went into it! This podcast is made of all shades of Win!! Kristen is so wonderful, and down-to-earth, funny, smart and graceful! This is a true gem, and guys Thanks so much for this interview!! Woooot!!! ok.. and yes SEASON 2 ROCKS A$$!!!! It´s probably the best out of the 3! We need Lara back in the movie!!! "Hit her" LMAOOO hahahahahahahahahahaah!!!! OMG I am laughing on the floor here!!! YES I WILL DO MORE VIDEOS!! No need to cross something else!!! I always welcome any insights from the cast and crew of Millennium. So, thanks guys and Kristen Cloke. I do wish you could be more direct with your questions, they tend to lead to a bit of ramblings. Less means more (interview time) and more answers. Same with the introductions to each guest, while this one was shorter than some. I know it's your thing, you guys are funny and charming and certainly don't need these lengthy and mouthful introductions to show it. But all in all, I always enjoy your podcasts. Thank you all for you kind and interesting comments! Made the week all the more worth it!